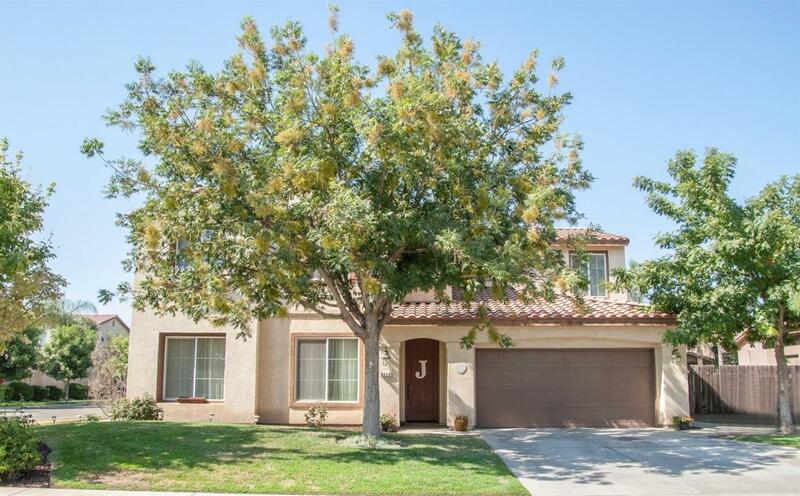 Stunning, move-in ready NW Visalia home! Oak Grove School District! Conveniently located near good schools, park, & shopping, this beautiful home has it all. Impressive two story entry opens up to formal living & dining rooms. Chef's kitchen with large center island, breakfast nook and tons of storage with pull outs. Kitchen opens to large great room. Light and bright with views of the backyard landscape. Downstairs powder bath for guests & built in storage nook off the idining room - perfect for entertaining. Large laundry room with storage & pull out drawers here too! Large master suite with huge walk in closet. Master bath has soaking tub, his & hers vanities. Spacious additional bedrooms. Loft space upstairs & a built in desk space with cabinets. Extra large corner lot! Sprawling backyard with covered patio. 3 car garage (tandem) & space for RV parking with concrete pad. Fresh paint, extremely well maintained, & serious pride of ownership. Call to arrange your private showing!